Wholesalers and distributors have a lot of things on their hands. And we mean a lot of things. 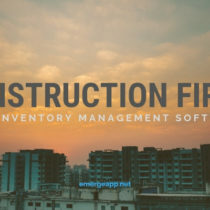 Aside from juggling the day-to-day demands of the business and ensuring an orderly movement of orders through your workflow, you need to deal with designing, organizing and maintaining a property that’s probably second in importance to your own home — your warehouse. Repeat after us, “A Messy Warehouse Means a Messy Business.” There’s little point if your star sales reps are pulling in orders only to see them picked and packed incorrectly or goods are received incorrectly. Your warehouse is the last stop before the final mile to your customers. 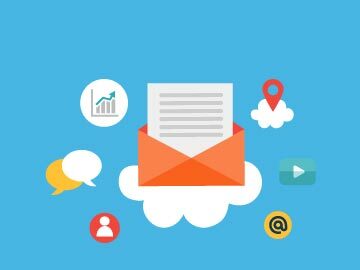 Treat it right and you’ll enjoy a smoother workflow and deliver a far better customer experience. Spring cleaning and overhauling any property is a daunting task. Where do you start? What do you need to do? How do you maintain it? We’ve broken down the job into 8 steps. 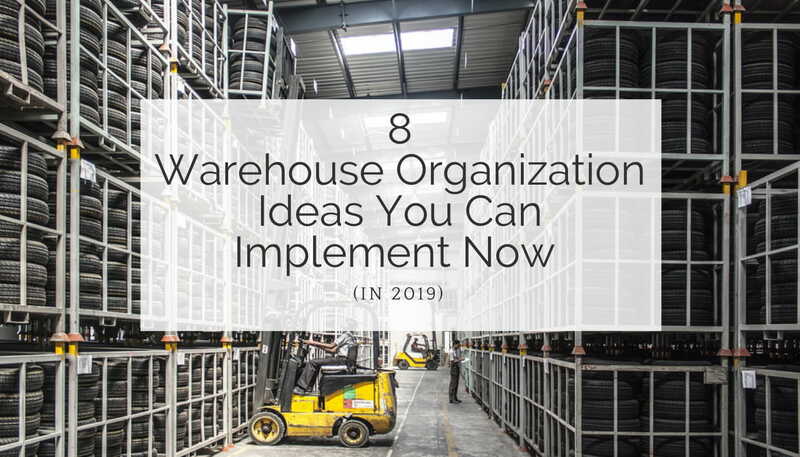 Each one is full of warehouse organization tips, ideas, and nuggets of useful information. It’s all common sense — treat your warehouse as you would treat your own home. We won’t promise instant cost savings or an immediate jump in profits. But we’re very sure you’ll notice more smiles, better morale and an extra spring in the step of your warehouse staff. You don’t have to work sequentially down the list. Your business might already have an awesome designer warehouse fit out, for example, but you need to work on receiving goods quickly. Approach it as you would with a home makeover and everything will fall in place and make sense. When you view a home for the first time, the floor plan figures highly in whether you buy or rent the place. Do the room placements make sense? Are their sizes appropriate for their intended use? How much natural light is there? You trust your gut feeling when you walk through the place. The same critical logic in house-hunting applies to warehouse layouts. Shelves, tools, equipment, work benches and tables all need to be logically placed and within reach of warehouse staff. They need to work together to produce a smooth and safe workflow. The physical layout should never obstruct or get in the way of daily tasks. So, take a good look at the current floor plan of your warehouse. Every warehouse is different and unique to each business and industry. It would be great if you have an existing plan or scale drawing. Next, go to the warehouse on a quiet day or the weekend and put yourself in the shoes of your warehouse employees. Take a walk around and role play. Then assess the efficiency of your warehouse space by looking at two things: the physical work areas and workflow of employee tasks. Well-defined work areas encourage a safer work environment. 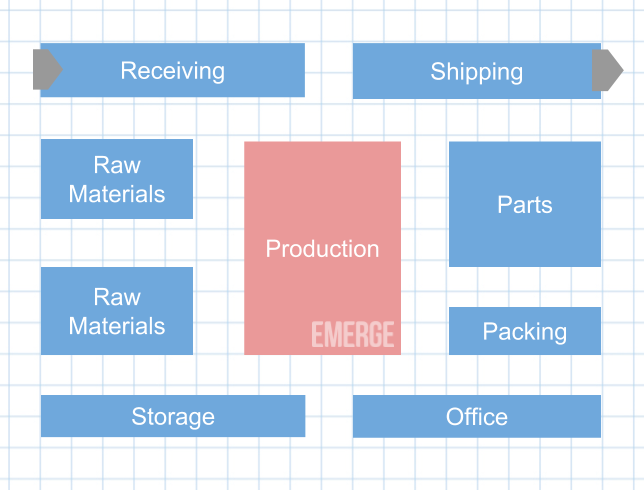 The production, receiving and packing areas, for example, should be kept separate and far apart from each other. Paths for forklifts and pallet jacks should be drawn on the floor. The office should have a view of the entire warehouse and the processes involved. Once the areas are defined, then ask yourself how many steps are required to perform the following warehouse tasks? Finally, talk to your warehouse staff! Ask them about annoyances in their daily workflow. We’re sure they will have plenty to share. What areas could be improved? How can things be done differently? Direct feedback from your employees will help you get closer to an ideal warehouse layout for your business. So, you just moved into a new home. It’s time to bulk out the storage areas a bit as, well, you have a lot of things to keep and you can’t bear to throw them all away. Heavy-duty shelves are planned for the garage because that’s where tools, paint and solvents belong. For the bedroom, a walk-in wardrobe lets you see everything at a glance. Just like choosing storage units for different rooms in your house, you install storage units that are appropriate for your warehouse. The nature of your business will determine the type, size and location of your storage racks, bins and shelves. Make the warehouse space work for you and not the other way around. Which one of the following best describes your business? A. Manufacturing. Equipment and production space take priority. Position heavy-duty shelves, bins and hoppers around them. Be generous with space around work benches and equipment. Your aisles must accommodate the width of forklifts and pallet jacks if you use them. B. Simple Manufacturing. Assembly stations take priority here. Place bins and hoppers around them for easy access to raw materials and parts. Allow plenty of space around workstations. You need shelving to store the finished goods. C. Traditional Inventory. 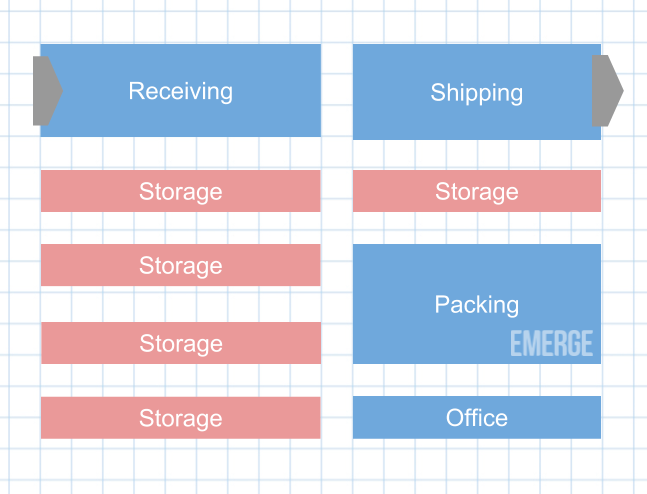 The stock and ship business model means that you need plenty of shelving and bins for your stock. Light-weight or heavy-duty shelving should suffice. Allow lots of space between aisles for the stocking and picking processes. Regardless of your business type, remember to maximize vertical space as well. This means getting the tallest shelving units that your warehouse can accommodate and using stackable shelf bins. After installing new shelves in your home, the next task is to decide how to organize and store your stuff. For the kitchen pantry, your oft-used ingredients are kept at eye-level and within arm’s reach. It’s no fun having to drag out the step stool every time you need sugar, salt or oil. The same goes for your warehouse. It’s not productive if you have to take a torturous route to pick your fastest-moving goods or most used parts. Likewise, it makes little sense to put dead stock in full view of everyone. So how do we decide which stock goes where? A – Most profitable or most used items that account for 80% of total movement, or 20% of total stock. B – Second-best items accounting for 15% of total movement, or 30% of total stock. C – Less important items for the remaining 5%, or 50% of total stock. Hence, Category A stock should be placed for quick and easy access by warehouse staff. Category B follows next. 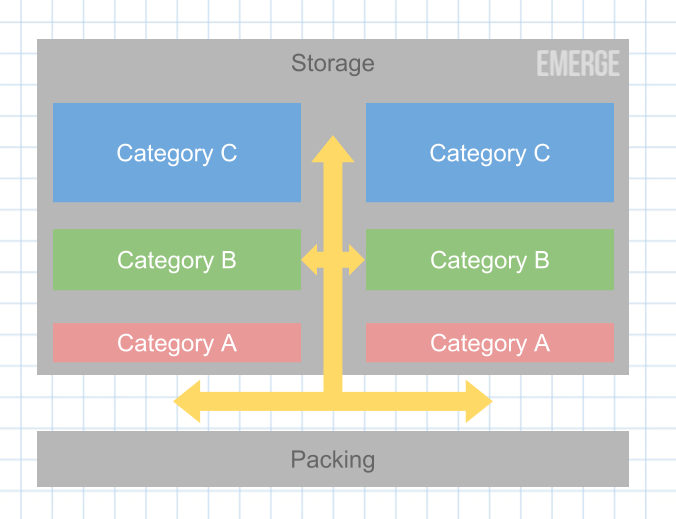 Category C stock can be placed on top of shelves, deep in the warehouse. Now that your kitchen pantry is neatly populated with jars and bottles, you want to make sure that your ingredients are clearly labelled. After a while, all your ground spices start to look alike. And baking soda, salt and sugar could easily be mistaken for each other in a pinch. So you get to work with a labelling machine. For efficiency, communication, and safety, you should also label everything in your warehouse. And we don’t mean just the goods. Everything needs to be labelled: work areas, safety hazards, aisles, racks, and items. Safety signs, in particular, are important for forklifts, clearance heights and capacity alerts. With your kitchen pantry neatly labelled and organized, you’re ready to face whatever cooking or baking challenge comes along. So you print recipes off the Internet and go to the pantry to work down the ingredient list. Ticks are marked for those ingredients that you have while crosses are made for those condiments that you need to buy. Order picking in your warehouse works in the same way. Unfortunately, it’s the most labor-intensive job in the warehouse, the most error-prone and thus potentially the most costly workflow. Plus, the accuracy of your picking processes has a direct impact on customer satisfaction levels. Pick-and-pack the wrong items in an order and you’ll quickly have an irate customer on the line. How can you speed up the picking process without compromising on accuracy? If you’ve been working through our 8-step checklist, you’ve already done most of the work already. 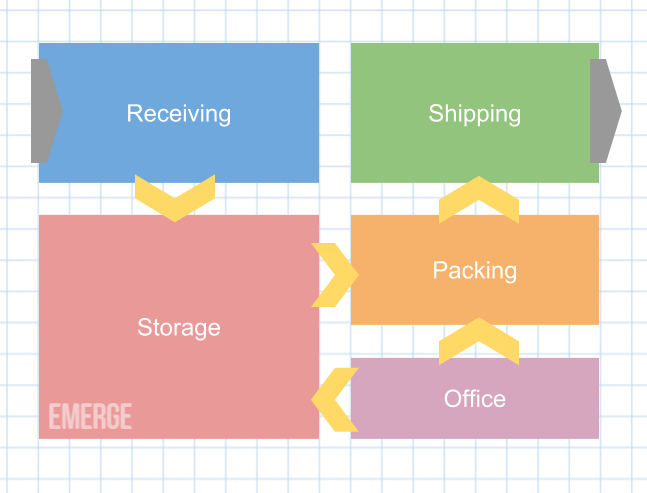 Reorganize your warehouse layout to minimize travel time. Study the travel time taken between picking locations and position bins for easiest and fastest access. Put your best-selling items closest to the packing area. You’ve done ABC Analysis on your stock and you’ve positioned popular items nearest to your pickers. Use order picking technology. If your budget allows, consider adopting hand-held RF readers, pick-to-light systems, voice picking systems or barcode scanning in your workflow. You’ve settled nicely in your new home but a nagging problem remains. You’re a keen online shopper but package thieves are a problem. To secure your deliveries when you’re in the office, you install a remote two-way doorbell and a one-way chute in your door that fits the most bulkiest of packages. Similarly, your warehouse receiving operations is a critical part of your workflow. Staff must check that the correct goods are received in the right quantity and at an acceptable quality. Receiving inventory, unfortunately, ranks up there with the order picking process in terms of importance. Muck up the receiving process and the rest of your warehouse workflow suffers as a result. 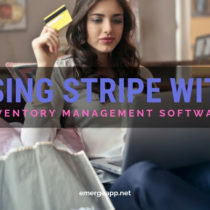 So what are some ways you can receive inventory efficiently? 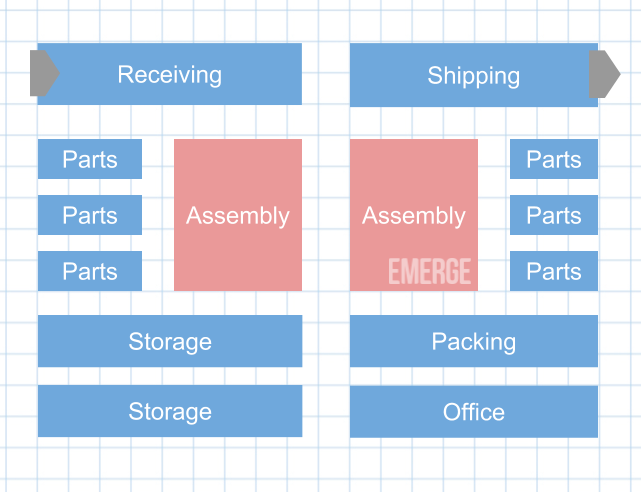 Allocate plenty of space for workers to sort and store incoming inventory. 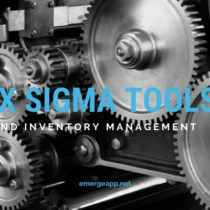 Use a perpetual inventory system, preferably with an inventory management system that supports it, so that you can get real-time information on stock levels and counts. 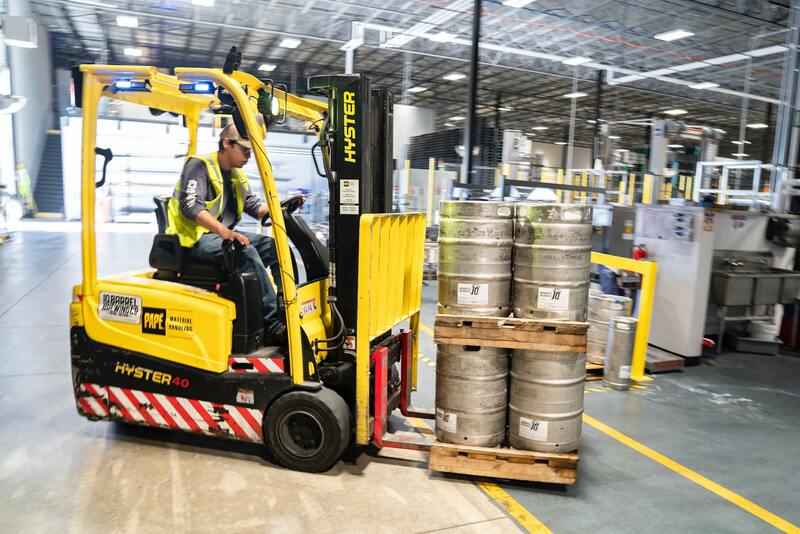 Unload inventory quickly and safely by automating it with forklifts, pallet jacks and conveyor belts. Ensure quality control by identifying and labelling any damage on the spot. It’s been a year since you moved into your home. You’ve been doing regular chores as maintaining a clean house is hard work. The garden needs to be mowed, the carpets vacuumed, the rooms dusted, and toys picked off the floor. You come up with a cleaning schedule that allocates these chores to each family member. Likewise, you need to instil the same house-proud mentality into workers at your warehouse. You want to start with a quick stand-up meeting every morning in the warehouse to identify any cleanliness issues. Then at the end of each day, workspaces need to be cleaned, the floors swept and physical obstacles picked off the floor. Tools need to be put back neatly and in their right place. This is all for the sake of efficiency, productivity and safety. Time does fly. You’ve been living in your home for a few years now. You know every switch, nook and cranny in the house. However, some pieces of furniture could be re-arranged or even retired. And you could do with more light fixtures around the house. It’s time for another makeover. The same goes for your warehouse. After every reorganization, you need to continually review your warehouse operations on a regular basis. Ask your staff what is working and what is not? Are you maximizing your total warehouse space? 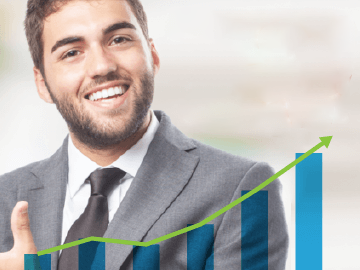 Are your workers enjoying a productivity boost? The review shouldn’t be conducted too often as it takes time to readjust to different workflows and for opinions to be formed. For most businesses, a yearly review would be ideal during the quieter months. You needn’t approach the warehouse organization like a visit to the dentist. Nor is it some esoteric dark art that few understand. You can do it yourself when you treat it like a home makeover or remodeling project. Once you arm yourself with that knowledge, everything will fall into place when you start to streamline typical warehouse tasks. 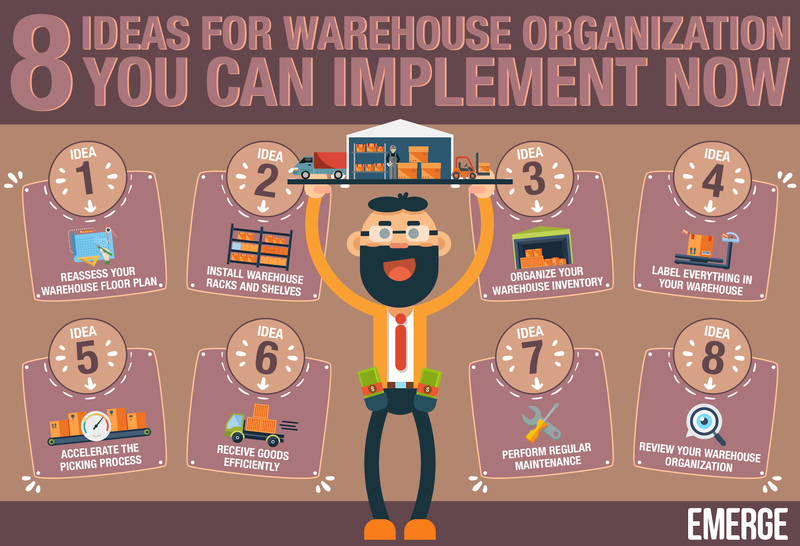 We hope these 8 steps and common sense will kickstart your warehouse organization project.